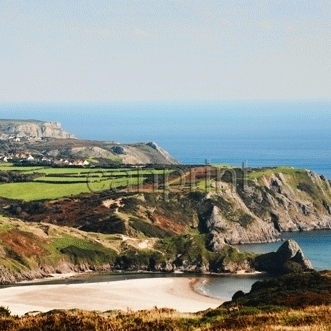 Three Cliffs Bay on The Gower Peninsular. 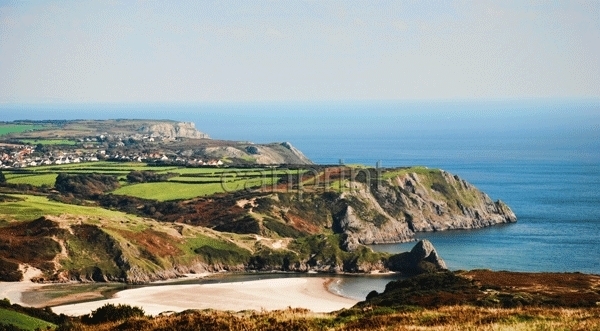 Three Cliffs is one of Gower's most picturesque beaches and it's not hard to see why, the valley leading down to the sea complete with castle, the salt marshes and the sand dunes, and the three cliffs themselves. The cliffs are popular with climbers, and what a location, you can actually walk underneath the cliffs through an archway. There are stepping stones to cross the river on the Penmaen side of the bay (west), but make sure you can get back.